Goji berries are native to Asia, though some species of the plant can be found growing in North America. Goji berries belong to the nightshade family, which means that they are related to tomatoes and eggplant. They have a long history of use in China. According to an early legend regarding the goji berry and its value, a doctor more than 2,000 years ago visited a village that consisted mostly of centenarians. After observing them for a time, the doctor noticed that the residents who lived the longest also had homes closest to the wells were goji berry trees grew. As the fruits ripened, they would fall off into the water and their nutrients would be infused into it. Villagers who lived near the wells would drink the water and benefit from its nutrients. There are multiple variations of this legend. Documentation of the benefits of goji berries begins with a book written by a Chinese emperor named Shen Nong in the year 250 BCE that is believed to be the oldest Chinese book on herbs and medicine. The book was named Shen Nong Ben Cao Jing and was supposed to contain all of the emperor’s knowledge on the subject of agriculture. There is another important Chinese book written by Li Shi-Zhen in the 16th century that also includes important information on the subject of the goji berry. Goji berry translates to wolfberry. One theory as to the origin of the wolfberry name stems from speculation that Chinese farmers saw wolves sheltering among the dense goji berry vines. Most of the world’s goji berry production centers around areas in Northwestern China, where there are 200,000 acres of farmland dedicated to goji berry cultivation. Goji berry plantations can also be found in Inner Mongolia and Shaanxi. The flavor of dried goji berries can be likened to that of cranberries. These are not what most would consider sweet. 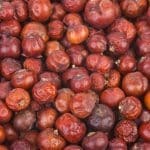 The juice tastes similar to tomato juice and has what many consider to be a pleasant tartness. Amino acids: Goji berries provide 8 essential amino acids that your body cannot synthesize. Zeaxanthin: One of the reasons for the popularity of goji berries is the fact that they contain a high concentration of an antioxidant called zeaxanthin. According to various studies, a diet that contains goji berries can increase a person’s zeaxanthin levels by as much as 26 percent. Vitamins: Goji berries can provide you almost twice the vitamin A that you need in a day. It also has about a third of the daily recommended vitamin C.
Minerals: Goji berries are rich in some important minerals including iron and potassium. High blood sugar: Goji berries are said to be able to lower your blood sugar in addition to helping to relieve insulin resistance. These benefits mean that it be able to reduce an individual’s risk of developing diabetes. Obesity: Goji berries contain high levels of fiber and protein, which mean that they can help to provide a feeling of fullness without the need to take in an inordinate amount of calories. Poor immune function: Consuming goji berries regularly can enhance lymphocytes, which are the red blood cells that protect the body from harmful bacteria. 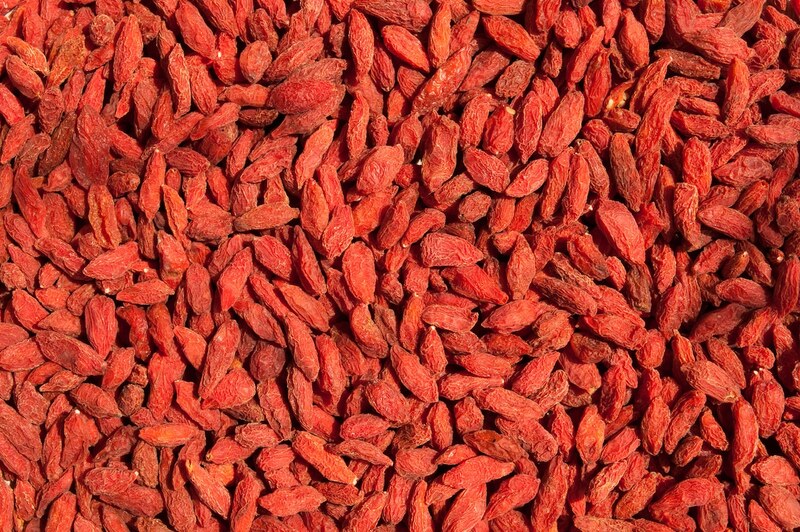 Blend goji berries to make a drink or use them like raisins in granola and trail mix. 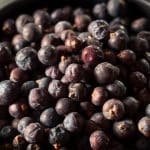 You can also, like herbs, use the berries to make a tea by steeping them in water. 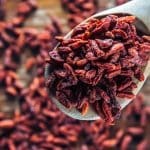 What's A Good Goji Berries Substitute?